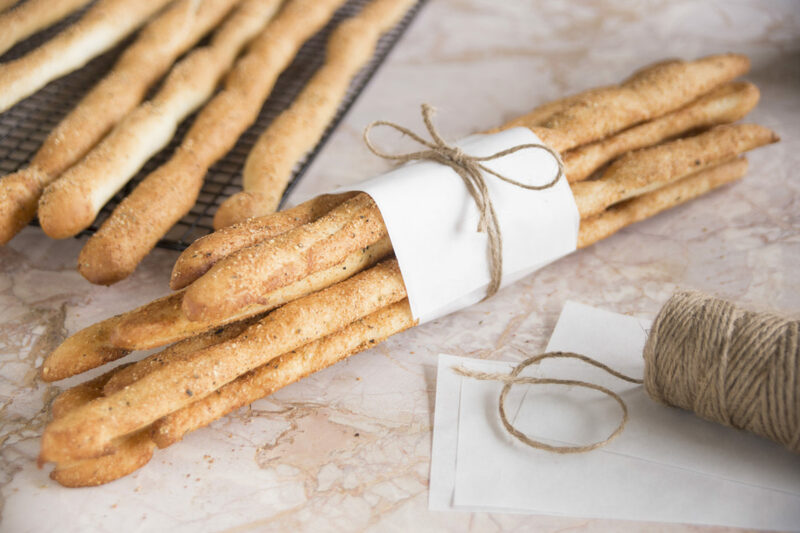 Long and thin, these breadsticks can be dipped or eaten as is for a fun food addition to your table. Roll and stretch each piece of dough to 15 inches in length. Place large sprayed baking sheets. Brush breadsticks with butter. Sprinkle with Garlic Bread Sprinkle. Cover with plastic wrap. Let rise for 30 minutes. Remove wrap and bake at 375°F 12-15 minutes or until brown and crispy.